Bujumbura (Burundi) (AFP) - By day, the streets of Burundi's capital Bujumbura are filled with the sounds of market traders and the honking horns of traffic in the lakeside city. By night, they echo instead to the rattle of gunfire as the violence unleashed by President Pierre Nkurunziza's successful bid for a third term in office rumbles on. 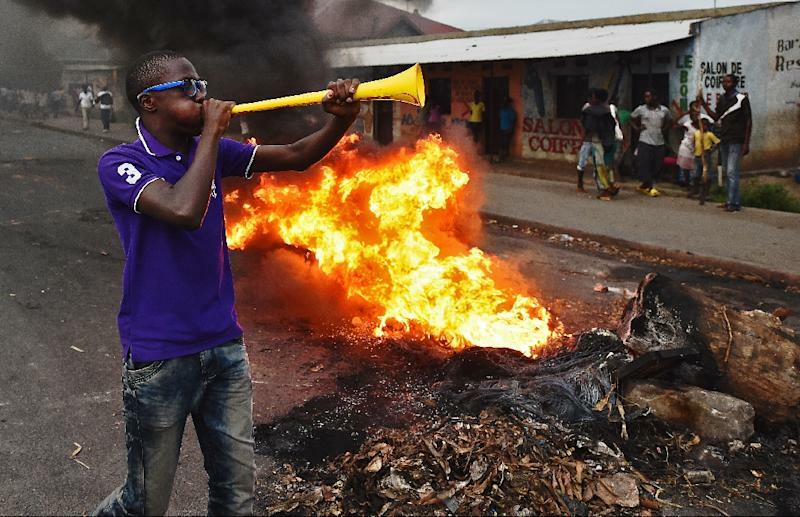 While the crushing of anti-government demonstrations has restored a superficial normality to Bujumbura -- the barricades are torn down, streets cleaned up and the fires put out -- behind the veneer lies an abiding fear. "In the day, everything is normal, but after nightfall, the shooting starts. You never know what will happen," said Thierry, who lives in Cibitoke, a district that witnessed some of the worst of the street violence that has killed around 100 people. "It is the night we fear," said taxi driver Jean-Pierre, from Nyakabiga, another hotspot neighbourhood. "By day, life is normal, but by night... you never know who may come to harm us." In a city rife with secrets and rumours, who is behind the shootings is not clear. What is certain is that people on both sides -- government and opposition -- are targeted. Some blame the police, saying they want to terrify citizens into staying indoors while they hunt down Nkurunziza's opponents. Others blame the opposition, accusing them of attacking the police or firing their weapons to show they are still ready to fight and are now armed. "There are weapons everywhere in the neighbourhood," said Thierry. Jean-Pierre said young people had armed themselves to "protect" their neighbourhoods. As dawn breaks, the rumours swirl. Some days corpses are found in the morning, other times people simply disappear in the night. On Thursday morning police found two male bodies, bound and dumped in a ditch close to the airport. Both murder victims showed "signs of torture" according to deputy police spokesman Pierre Nkurikiye. Nkurikiye said police also killed two "criminals" in Cibitoke in a shootout after a grenade was thrown at a patrol, injuring one officer. Nkurunziza's candidacy was condemned as unconstitutional by the opposition and provoked months of protests. In mid-May, rebel generals attempted a coup, which failed. They have since launched a rebellion in the north of the country, close to the border with Rwanda. 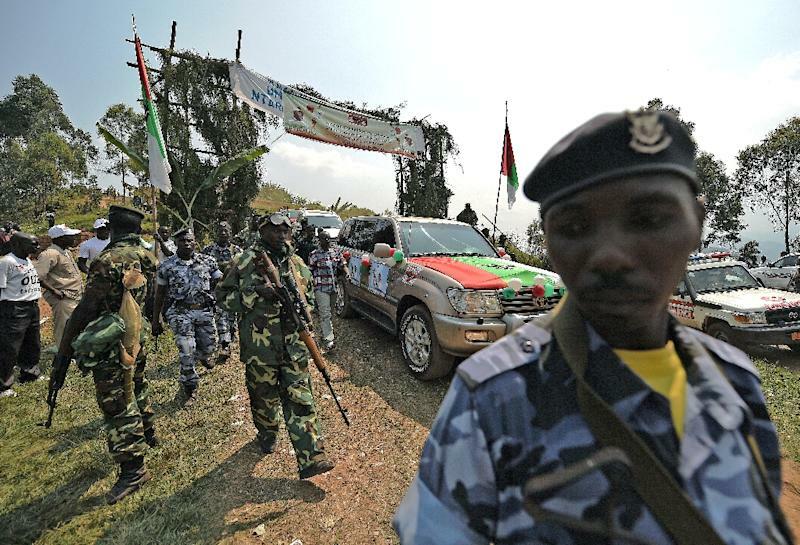 There are widespread fears -- both inside and outside Burundi -- that the tiny country in the heart of central Africa's troubled Great Lakes region could be plunged back into civil war. People fear indiscriminate retaliation from security forces, said rights activist Innocent Muhozi from Burundi's Press Observatory, especially since the recent assassination of a powerful general and Nkurunziza loyalist. "Now the neighbourhoods are full of weapons," said Muhozi. Opposition supporters also fear attacks by the ruling CNDD-FDD party's youth wing, the Imbonerakure, -- literally "Those Who See Far" -- described as a militia by the UN. CNDD-FDD party spokesman Gelase-Daniel Ndabirabe said they are the ones being targeted, with several party members killed in recent days in what he called a "targeted assassination plot" by the opposition. In a hospital bed, leading rights activist Pierre-Claver Mbonimpa, who publicly opposed Nkurunziza's bid to extend his ten-year rule in July elections that were boycotted by the opposition, is recovering after the latest attack. He was shot in the face on his way home from work in the capital on Monday by a gunman on a motorbike. The UN Security Council condemned the attack on Mbonimpa and warned the "security situation in Burundi is deteriorating rapidly." The shooting followed Sunday's killing in a rocket attack of General Adolphe Nshimirimana, who was widely seen as the country's de-facto internal security chief. That attack stoked fears of reprisals. "After the assassination of Adolphe, it's impossible to know what will happen," said a Burundian journalist. Nshimirimana was much feared by opponents, but even they say he was a moderating influence on the real hardliners. "I fear that we are now dealing with mad dogs let loose without a master," said Muhozi. For some, the situation already resembles the days before civil war broke out in 1993. The 13-year conflict killed 300,000 people. "The war is practically already on," said Muhozi of the Press Observatory. In Cibitoke, Thierry is taking no more chances. 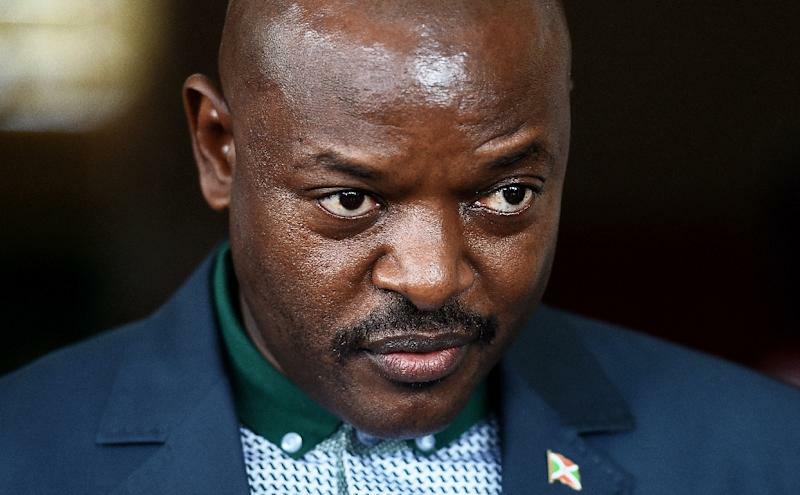 He plans to follow the 180,000 other Burundians who have fled the country since April. "War is not yet here, but it will happen," he said. "This country has no future."